In 2009, the Polish Patent Office declared that the right of protection for REAL trademark owned by real SB-Warenhaus GmbH from Germany, lapsed partially. The German company requested for the suspension of the contested decision. The request stated that the contested decision would cause a negative economic impact for real SB-Warenhaus GmbH, which, through a Polish subsidiary, uses lapsed trade mark continuously since 1997. The German company has made far-reaching financial investments to build market position of REAL trade mark, in Poland – around 10 million PLN. In addition, the public awareness of the brand position, has not only financial backing but also social, because the company built on Polish territory large-area markets, which are operated under the name REAL, therefore, renaming the company and its markets would also affect the 13,500 employees. Given the increasing competition in the market, other competitors, could in good faith (or intentionally) use this trade mark. There was therefore a real risk that, until final completion of this case, the distinctive character of REAL trade mark would be weakened. The Voivodeship Administrative Court in its judgment of 15 June 2010 case file VI SA/Wa 452/10 decided to stay the execution of the questioned decision and ruled that if the decision of the Patent Office has not been suspended, REAL trade mark used by the Polish subsidiary could not be used, and others could exploit the position of this trade mark. The Court also agreed that financial outlays made for the creation and operation of REAL’s supermarkets, were large, and the scale of employment in these supermarkets and the necessary change of the company name and the supermarket, could adversely affect the situation of workers. See also “Trade mark law, case VI SA/Wa 451/10“. Categories: Art. 168 IPL | Art. 169(1)(i) IPL | Art. 169(2) IPL | Art. 169(6) IPL | Art. 61 §3 PBAC | distinctive character | Polish Act on Industrial Property Law | Polish Act on Proceedings Before Administrative Courts | trade mark lapse | trade mark use | trademark law | Voivodeship Administrative Court. The Voivodeship Administrative Court in its judgment of 15 June 2010 case file VI SA/Wa 451/10 decided to stay the execution of the questioned decision and ruled that if the decision of the Patent Office has not been suspended, REAL trade mark used by the Polish subsidiary could not be used, and others could exploit the position of this trade mark. The Court also agreed that financial outlays made for the creation and operation of REAL’s supermarkets, were large, and the scale of employment in these supermarkets and the necessary change of the company name and the supermarket, could adversely affect the situation of workers. See also “Trade mark law, case VI SA/Wa 452/10“. The Voivodeship Administrative Court in Warsaw in its judgment of 5 September 2008 case file VI SA/Wa 1061/08 dismissed the complaint against the decision of the Polish Patent Office on the refusal to grant the right of protection to MLEMIX MAZURSKI Z-275675 trade mark. Spółdzielnia Mleczarska MLEKPOL from Grajewo filed cassation complaint. The Supreme Administrative Court in its judgment of 15 October 2009 case file II GSK 155/09 held that the statutory conditions to obtain a right of protection for trade mark set out in Article 132 of the IPL must be met on the date of a trade mark application, and not on the date of the issuance of the decision of the Polish Patent Office that ends the case. Categories: Art. 123 IPL | Art. 132(1)(iii) IPL | Art. 132(2)(ii) IPL | Art. 153 IPL | Art. 168 IPL | Art. 169(1)(i) IPL | Polish Act on Industrial Property Law | Polish Supreme Administrative Court | similarity of goods | similarity of signs | trade mark refusal | trademark law | Voivodeship Administrative Court. The Supreme Administrative Court in a judgment of 20 September 2007, case file II GSK 127/07, unpublished, ruled that other requirements must be satisfied while starting the invalidation proceedings, and the other in the request on the lapse of a right of protection for a trademark. The right of protection for a trademark right may be invalidated in whole or in part, if it has been granted contrary to the statutory conditions (as defined in article 164 of the Polish Act of 30 June 2000 on Industrial Property Law – IPL – (in Polish: ustawa Prawo własności przemysłowej) of 30 June 2000, published in Journal of Laws (Dziennik Ustaw) of 2001 No. 49, item 508, consolidated text of 13 June 2003, Journal of Laws (Dziennik Ustaw) No. 119, item 1117, with later amendments), and the lapse of a right of protection is dependent on the occurrence of other, well-defined conditions (articles 168 and 169 of the IPL). Also the implication of each of these decisions differs – at the ex tunc in the invalidation proceedings, and after fixed period or the occurrence of a particular situation constituting a condition of the lapse. Categories: Art. 164 IPL | Art. 168 IPL | Art. 169(1)(i) IPL | case law | Polish Act on Industrial Property Law | Polish courts | Polish Supreme Administrative Court | trade mark invalidation | trade mark lapse. This is the continuation of a story described in “Trade mark law, case VI SA/Wa 55/06“. Piotr Dyszkiewicz and Zbigniew Anozy – both partners of civil partnership, unsatisfied with the judgment of the Voivodeship Administrative Court in Warsaw, have filed a cassation complaint. The Supreme Administrative Court its judgment of 22 March 2007 case file II GSK 248/06 repealed both the questioned order of the Polish Patent Office and the judgment of the VAC. The SAC based its conclusions on procedural matters. According to the SAC, all problems discussed by the VAC with regard to the co-ownership of THERMO SHIELD Z-223847 trade mark application and partners who quit the cvil partnership, were not a procedural issue, but it concerned very important merits, namely, who should be granted the right of protection for the trade mark for certain goods. The provisions the IPL does not provide that such an issue could be resolved by the order in the proceedings, i.e. 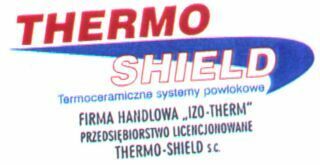 before the adoption of a decision of the Polish Patent Office on the termination of the proceedings regarding THERMO SHIELD Z-223847 trade mark application. This is a substantive matter and a conclusion can be taken only in the decision of the PPO issued in proceedings involving all the people who made the trade mark application as partners of the civil partnership. Categories: Art. 120(1) IPL | Art. 120(2) IPL | Art. 162 IPL | Art. 168 IPL | Art. 325 IPL | case law | Polish Supreme Administrative Court | trade mark co-ownership | trade mark refusal | trade mark register | trademark law. On 8 September 2000, partners of a civil partnership, filed an application for word-figurative trade mark TERMO SHIELD Z-223847. This application was filed by natural persons, since these are separate entrepreneurs. Civil partnership is formed through an agreement by the partners to achieve a common business purpose. The civil partnership does not qualify as an entrepreneur. The term entrepreneur should be used only to partners of a civil partnership, and not to a partnership itself. Civil partnership has no legal personality and has no legal capacity (a capacity to be a party in legal proceedings). Two partners resigned. The other filed a request to the Polish Patent Office (PPO) to make change in the Trade Mark Register with regard to persons entitled from the application. The PPO refused to make such changes. The Polish Patent Office has recognized that this was only a withdrawal from the agreement concluded between individuals. The individual partners are separate entities for the PPO and others, and the right to the applied trade mark is a co-ownership/joint tenacy. The withdrawal of two partners can not affect the change of the holder of the trade mark application according to article 162(1) of the Polish Act of 30 June 2000 on Industrial Property Law – IPL – (in Polish: ustawa Prawo własności przemysłowej) of 30 June 2000, published in Journal of Laws (Dziennik Ustaw) of 2001 No 49, item 508, consolidated text of 13 June 2003, Journal of Laws (Dziennik Ustaw) No 119, item 1117, with subsequent amendments. 1. The right of protection for a trademark may be assigned or be subject to succession. The provisions of Article 67(2) and (3) shall apply accordingly. 11. The right of protection for a trademark may be transferred to the organizations referred to in Articles 136 and 137 as a collective trademark or collective guarantee trademark respectively or to a number of entities as a collective right of protection. 12. Transfer of the right of protection, referred to in paragraph (11) may be effected only with the consent of the parties who enjoy that right. 13. Entry in the trademark register of the transfer of the right of protection, referred to in paragraph (11) after the regulations governing use of the trademark, referred to in Article 122 (2), Article 136(2) or Article 137(1) have been submitted. 14. A collective right of protection may be transferred to a single party as a right of protection for a trademark. 3. The right of protection for a collective trademark may be assigned as a joint right of protection to the undertakings grouped in the organisation referred to in Article 136. The contract of assignment shall determine the rules governing the use of such trademark to the extent to which it is practised in respect of the regulations referred to in Article 122(2). 31. A collective right of protection may be transferred to the organizations referred to in Articles 136 and 137 as a collective trademark or a collective guarantee mark. A contract for the transfer of the right should specify the rules governing use of that trademark to the extent as it is provided for in respect of the regulations referred to in Article 136(2) and Article 137(1) respectively. 4. The right of protection for a trademark may also be assigned in respect of certain goods for which the right of protection has been granted, if the goods for which the trademark remains registered on behalf of the vendor are not of the same kind. Once assigned, the right in question shall be dealt with as independent of the right enjoyed by the vendor. 5. The contract of assignment of a share in the joint right of protection shall be valid subject to the consent given by all of the joint owners. 6. Paragraphs (1), (3) to (5) shall apply accordingly to the right deriving from an application filed with the Patent Office, for which no right of protection has yet been granted. The basis for the change of the persons applying for trade mark protection should be a waiver or transfer of this right. In this case, it did not happen. The PPO does not intervene in the mutual settlement between the partners. It is an internal matter of their contractual relationship. Two dissatisfied partners filed a complaint with the court. The Voivodeship Administrative Court in Warsaw in its judgment of 13 April 2006 case file VI SA/Wa 55/06 has recognized that all partners of the civil partnership applied for protection of the trade mark in question. The Court agreed with the PPO, that the mere resignation of the two partners may not affect the change of the holder of the trade mark application. The basis for the change in Trade Mark Registry may be the court order on the settlement between the partners in the property (the right of protection for a trade mark is the economic right), or the waiver of the right to trade mark application or its disposal or transfer. This requirement follows from articles 67(2), 162(1) and 168 of the IPL. 1. The patent may be assigned or be subject to succession. 2. The transfer contract shall be in writing on pain of invalidity. 3. The transfer of a patent shall be binding on third parties as from the date of its entry in the Patent Register. (ii)on surrender of the right by the owner thereof before the Patent Office, with the consent of the parties having their rights therein. 2. The surrender of the right, referred to in paragraph (1)(ii), may also concern only certain goods for which the right has been granted (restriction of the list of the goods). 3. The surrender of a share in the joint right shall result in the transfer of the share on behalf of the other joint owners, proportionally to their shares. 4. Subject to paragraph (3), in the case referred to in paragraph (1)(ii), the Patent Office shall take a decision on the lapse of the right of protection. The Court held that the IPL is a lex specialis in relation to the Civil Code. The PPO would infringe on the rights of partners the civil partnership if it has made changes to the Trade Mark Registry with regard to entitled persons, only on the basis of changes in composition of the civil partnership. The settlement between the partners is not a cognition of the Polish Patent Office. The order of the PPO does not create the composition of the civil partnership by establishing that the partners who left are engaged in representing the company. Only the agreement on the civil partnership determines who is a partner of such a civil partnership. The order of the PPO concerns only their right to the application for the grant of a right of protection for a trade mark. This right has the nature of co-ownership/joint tenacy of all partners, unless it is regulated different as described above, i.e. by he settlement between the partners in the property, or the waiver of the right to trade mark application or its disposal or transfer. This judgment is not yet final. A cassation complaint may be filed to the Supreme Administrative Court. See also “Trade mark law, case II GSK 248/06“. Categories: Art. 162 IPL | Art. 168 IPL | Art. 325 IPL | case law | Polish Act on Authors Rights and Neighbouring Rights | trade mark co-ownership | trade mark register | trademark law | Voivodeship Administrative Court.